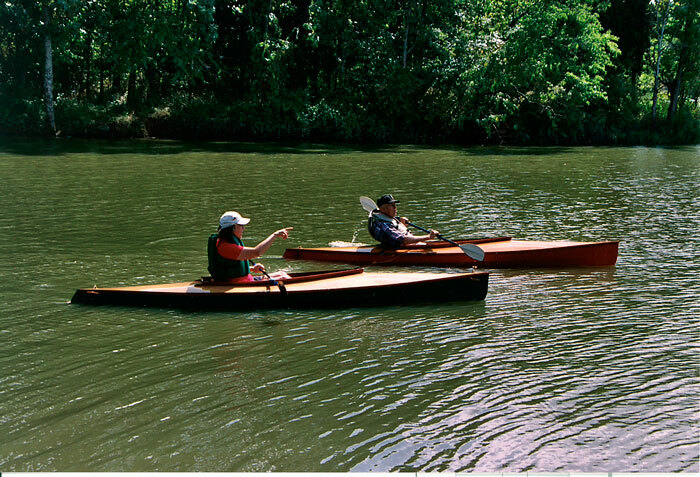 John and Barbara Strattan built these kayaks in 2003. They are Mill Creek 13 kayaks, designed by Chris Kulczyki of CLC. 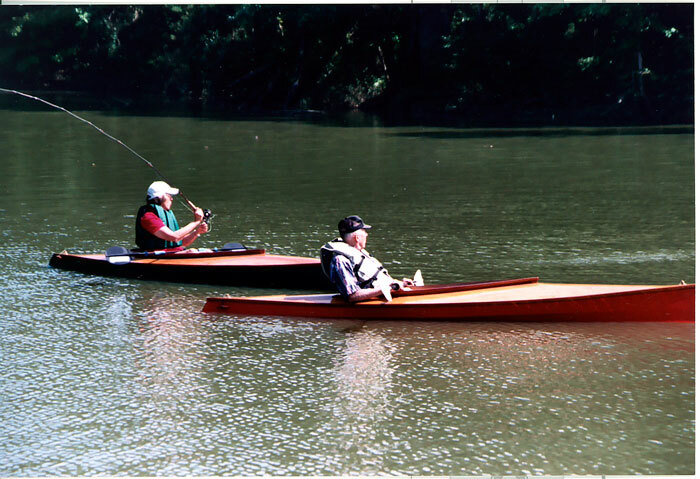 They use the pair on the streams and rivers of north central Kentucky. Hoping to avoid paying $60 a sheet for plywood they found a source for doorwood, the plywood used on the faces of hollowcore mahogany doors. They also made use of some 1/4" mahogany plywood which had been the shipping crate for a Yamaha piano. In the fall of 2006, John Strattan wrote "Barbara and I are 70 years old this year. 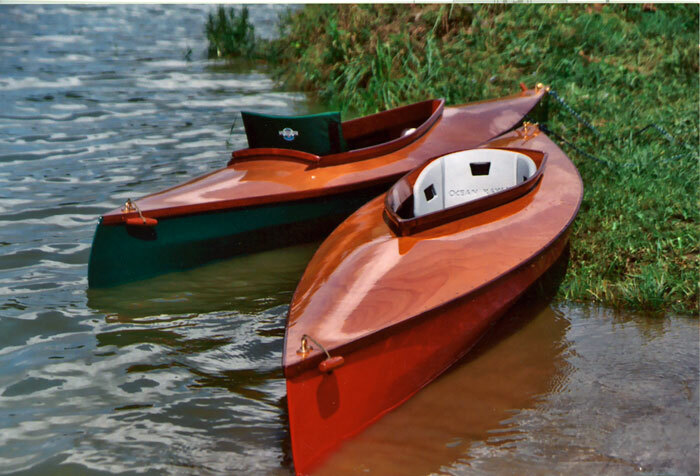 We built our kayaks when we were a young 67 (or maybe 66!) and have used them each year since. It was a feat for 'old landlubbers' to build, launch, and paddle these wooden beauties, so much so that even we are surprised that we can! It helps keep us young!" Contact the Strattans at 701 North Watterson Way, Middletown, KY 40243.